Rosy Outlook: Recent Reads & Reviews! Happy Monday friends! Hope you had a great weekend. Ours was nice and relaxing! We honestly didn't do much on Saturday except for run errands. Sunday, I grabbed coffee at a new cafe near our apartment with a friend I've made in our complex. She and I have super similar situations and both moved to Boston in July of last year so it's so nice to connect with someone you can relate to! One of my personal resolutions for 2019 was to read more. Although I've always been a pretty avid reader, I will go through stages of not reading at all for months at a time. This year I wanted to try to read at least 1 book a month. I'm well-exceeding that goal--reading 3 books in January alone and I just finished another one this week! I can attribute most of this to my morning and afternoon commutes on the T (the metrorail here in Boston). For the last 6+ years I've driven to work and this is the first time in my life I've taken public transportation every day! While it's not my FAVORITE part of the day (lol) I'm LOVING that I can get so much reading in. I'm going to rank these from least favorite to favorite but I honestly enjoyed them all! This was a book that literally kept me on the edge of my seat and I finished it probably quickest of the bunch. This book features a young journalist named Lo who is experiencing symptoms of PTSD after her home is broken into. She is invited as a guest to stay on and review her experience on a new luxury cruise line but is still having trouble coping with the break in. While on the boat, she witnesses a horrific crime which ultimately puts her in danger herself. This book was a total page-turner and an easy read. The only reason I have it ranked the lowest is because I felt like the quality of the writing wasn't comparable to the others on the list and honestly the ending was pretty disappointing. Overall I would still give it about a 3.5/5. This book is about two strangers that meet in an airport and exchange shocking stories which result in a plot to commit murder. I honestly don't want to get into much detail because I feel like it will give away some of the twists and there were MANY. I loved the way this book was written and most of it took place in Boston/New England! After I finished, I immediately ran a google search to see if it is going to be made into a movie and I think it's going to be (though it's still in early production stages). While reading I kept thinking it would be even better on the big screen in my opinion! Overall rating is a 4.5/5. This was totally one of those situations where I saw the cover of the book and was intrigued enough to buy it haha! 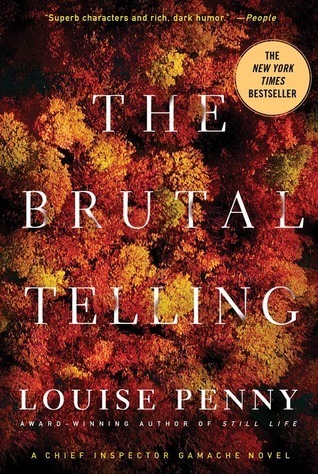 It was my first time reading a Louise Penny book and after this one I definitely want to pick up a few more. This story takes place in a small town in Canada, Three Pines and follows the investigation of Chief Inspector Gamache (the protagonist of many of her novels). When a murder is committed in a local cafe, it shakes the entire town to it's core. No one knows who the murdered man is, where he came from and what the motive might have been. There are many twists and turns throughout the investigation and I have to be honest--I didn't love the ending. Though the ending isn't what I hoped for, the characters in this book were so charming and I really became invested in the story. Louis Penny is a GREAT writer and this one definitely kept my attention! Overally rating: 4.5/5. Upcoming Reads/Reviews: Verity by Colleen Hoover, No Exit by Taylor Adams, The Good Daughter by Karin Slaughter, Where the Crawdads Sing by Delia Owens. If you've ready any of these I would love to know your thoughts! I love book reviews and these were great! 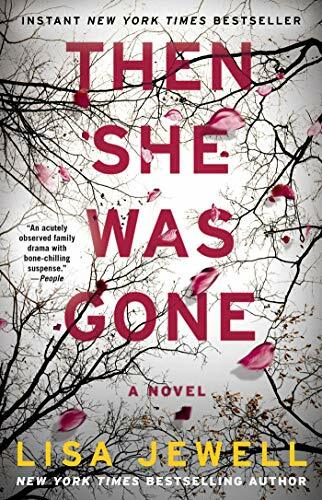 Then she was gone is one I gave my mom before I read it so I’m so excited to get it back from her, LOL! Happy Monday! I need to add all of these to my reading list! I just finished reading 'The Light We Lost' and LOVED it! Highly recommend if you haven't read it yet! Then she was gone was soo good! One of my faves from last year for sure! 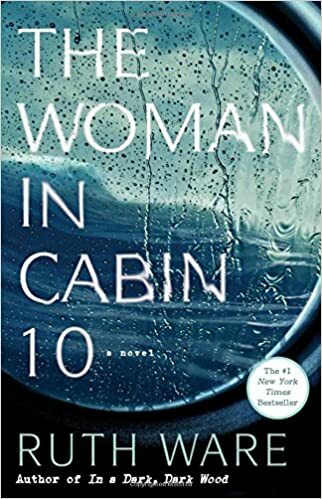 Oooh need to read The Woman in Cabin 10! Sounds amazing! These all sound so good! I think need to pick up Then She Was Gone if I ever find time to read again haha!